What is a Bureau of Indian Affairs Peddlers Performance Bond in Kansas? A Bureau of Indian Affairs Peddlers Performance Bond is a type of license bond. The purpose of the bond is to protect the state or governmental entity for certain things, such as the payment of taxes. How Much does a Bureau of Indian Affairs Peddlers Performance Bond Cost in Kansas? How do I get a Bureau of Indian Affairs Peddlers Performance Bond? We make it easy to get a Bureau of Indian Affairs Peddlers Performance Bond in Kansas. Fill out the form above and we’ll get right on this for you. Then we’ll get the Bureau of Indian Affairs Peddlers Performance Bond right out to you. Easy. It’s essential to have an approval from the government before starting a professional or business operation. This approval indicates that your business is approved by the government to operate, and that your operations abide by the existing rules and regulations. These laws and regulations are set to protect the customers you might serve. You’ll need a license to prove that you are operating with integrity and that your products and services are dependable. In connection with acquiring a license to operate, you must know that you might also need to obtain a license and permit bond. Keep in mind that non-compliance to the governing rules might result in serious difficulties, so you need to never fail to comply. To help you understand further the need for surety bonds, this is a simple guide for you. Here you can also learn the useful ways on how to get a permit bond. The kind of bond that you will need is dependent upon the type of business operation that you have. 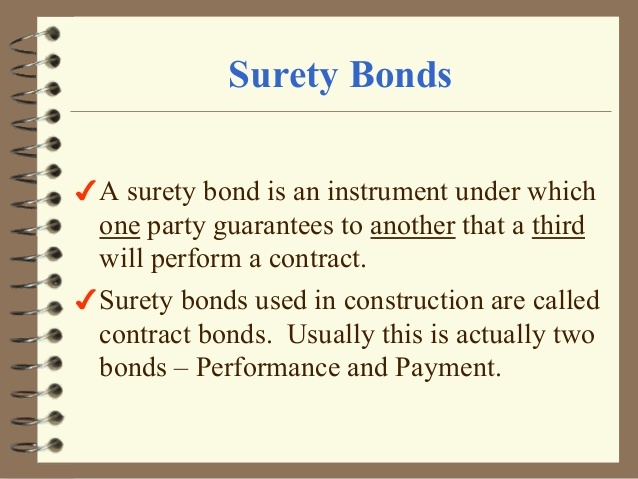 This section explains other kinds of surety bonds that you may enjoy and their purposes. The license and permit surety bond is the most typical kind of surety bond. In case you’re planning to offer professional service in Kansas, it’s essential that you know the governing rules in relation to this type of business. Keep in mind that the government must ensure that your functions is compliant to the existing laws to be able to offer you an authority to function. In addition, you should remember that your clientele can directly report to the government regarding the operations of your business. Your client could also file a case against you if you fail to abide by the laws of the government. Due to your non-compliance, your customer will then be compensated. You, alternatively, will suffer the consequences of breaking the law. Under this certain type of bond, there are also several different sub-types. The contractor license bond is one good instance of a license and permit bond. Another example is the performance bonds. This particular type of bond is appropriate for construction corporations to ensure their clients that their services and products are compliant to the laws. While constructing, the contractor has to meet all the needs and requirements provided by the consumer. The contractors must not fail to comply with the governing rules to prevent serious difficulties concerning the laws that cover this particular type of business operations. If the contractor defaults, the bond will act, as insurance and the customer will get a compensation of that amount. In addition, the contractor could be swapped out for another. License bonds are used to restrict the functions of various companies, making sure that they’re in conformity with the existing laws. Any company or contractor need to comply with the existing laws to be able to run their operations effectively. In Kansas, for instance, the government demands the usage of license and permit bond. This way, the clientele will get what they need. Permit bonds will ensure that each consumer gets the best service. As a result, it is very important for the contractors to ensure that they are going to supply on the agreed date. If they do, the client won’t suffer any loss. Through the surety bond, the clientele are guaranteed of a secured project agreement. It is not hard to acquire a license and permit bond. It only entails simple procedure, but you have to make certain that you get it from an approved issuing company. When obtaining a license and permit bond, here are a few of the measures that you should follow. If you choose to apply for license and permit bonds online, you should first need to obtain an access because most authorized issuing companies have a secured login website. You are going to need a device that has an internet connection and a web browser to access the form. Ideally, using a computer gives you a better view and experience in going through these online forms. You can fill out a form immediately when you have accessed the platform. On this form, you will get recommendations on the important info and the optional fields that you may ignore. Within seconds, you are going to get a quote. This quote will define the payment that you should pay money for the bond. It also indicates whether the application is successful or in case there are still fields that you have to fill out. After you get the quote, you should make the payments using the available payment channels and you could, in return, get the insurance and permit bonds. When venturing into construction projects, it is really important to understand the info about license and permit bonds. To help you find out more about the license and permit bonds, below are a few important facts for you. Generally, the amount of a performance bond won’t be equal to the whole amount of the project cost. You will only be instructed to insure a specific percentage of the project, which is equal to considerable amount of money. In fact, it might only charge you with about 1% of the whole rate if you purchase a bond worth a million dollars for example. Another fact that you need to know is that a bond is distinctive from a company license. In fact, it protects the folks that you serve. The bonds, as a result, improve the trust of your clients’ that you’ll deliver the best possible result for the projects you involved with them. We hope that this article has help you understand further the importance of acquiring a license and permit bond. Just make certain that when you apply for a surety bond online, you should obtain it from an approved issuing company so that there will be no problems when you process your license to operate. See our Kansas Bureau of Indian Affairs Reservation Business Bond page here.